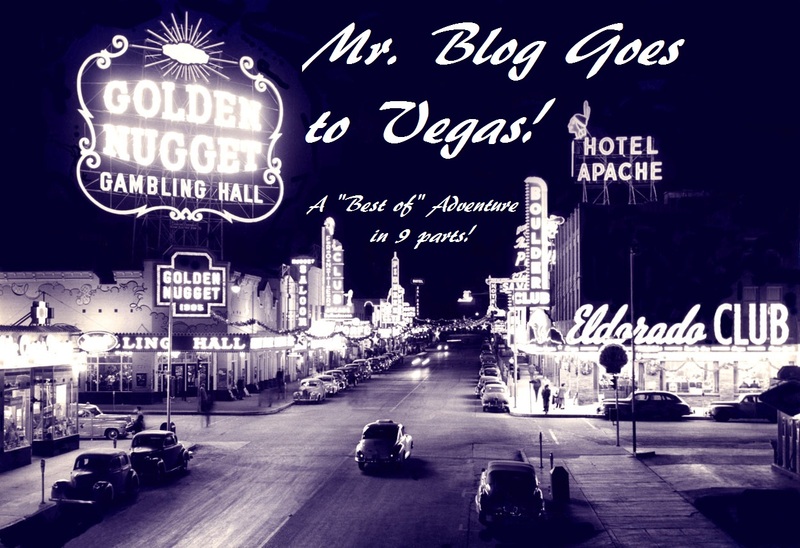 Mr. Blog Goes to Vegas: Part One Week! Traveling. The word conjures up images of exotic locales, far off lands, romantic getaways, or perhaps your family’s trip to see Grandma in Scranton last year. You remember, there were like fifty of you there, all cramped in two bedrooms in Grandma’s condo because she’d just die, right there on the floor, if you dared insult her by staying in a hotel. At least, she would, if only there were any room for her on the floor upon which to fall. I traveled to Las Vegas this past week. The trip there was close to five hours. It was shorter than my eight hour trip to London, but a lot longer than my old 10 minute commute to work. However, that isn’t accurate. You see, only the flight was about five hours. The actual traveling time was much more. The flight was due to take off at about 10 am. My brother and I left the house about 7:15. You may think that was a little early but you are likely to encounter traffic on the Belt Parkway at anytime. Four in the morning, Easter Sunday? Traffic. Giants win the Super Bowl, midnight? Traffic. Belt Parkway closed to traffic? Traffic. We were going to Las Vegas because my brother had been there once before, two years ago, and they comped him a room. Right away we were ahead- a free suite at the Rio. We got to Kennedy Airport (their motto: Hey, it happens.) and located long-term parking by following the totally helpful and not at all confusing, vague, or just plain wrong, signs straight back out of the airport. “What the hell was that?” my brother asked. This time I went back to the airport and found long-term parking by stopping alongside a fence, getting out of the car, and spotting it with my own two eyes. Luckily, I got back to driving before Homeland Security wondered what I was doing peeking over a fence at the cargo end of the complex. I was only carrying two bags but they were heavy. The secret of air travel, which I reveal here for the first time, is to never, ever, check a bag. If it is at all possible to take everything carry-on, and even if it isn’t possible, do it. Your bags can never get lost and you will never have to wait and wait and wait at the baggage claim. You can be all smug as you jet past all those guys and beat them to the taxis. OK, your shirts will be wrinkled and your pants will be smashed flat but you’ll be out of he airport sooner, and isn’t it more important to be first than to have a smooth shirt? I had crammed all my clothes into a duffel bag that I knew from experience would just make it in the overhead. That was on one shoulder. Hanging from the other was my laptop bag. It had my laptop, my camera, my iPod, my cell phone, assorted chargers and cables, and whatever random this’s and that’s that seem to have made their way into that laptop bag and call it home. There was a CD-R with the label all smudged, some kind of USB converter that doesn’t have diddley to do with the laptop, an instruction book to a printer, and cables, cables, cables. So the bag was a bit heavy. 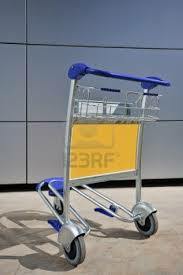 We found the carts and they were stuck in a machine and cost three dollars to get one loose. No, I was going to Vegas. There are about a billion and two fun and dangerous ways to lose money in Vegas, I wasn’t about to squander three bucks on a cart at JFK. Besides, there was one sitting on the street four feet away. We loaded the bags on the cart and soon found why it was abandoned- it had a gimpy wheel. But I didn’t care and, even with a gimpy wheel, it was better than breaking my shoulders marching across the long-term no man’s land. And march it was. We were heading to the Air Tram, which was so far away I was sure it was a mirage. It was going to take us to the airport which was so far away I couldn’t even see it. We walked, no joke, almost ten minutes until we found the shuttle bus which would take us to the tram station. It was parked right outside the tram station. Saying a teary farewell to the cart, we shlepped our bags up the escalator and plopped down in the station. Here was we saw our first people- two teenage kids sleeping on the floor in sleeping bags. We got on the train, which I must admit was very nice, quiet, and clean, and it took us to the terminal. Well, no, not quite. It took us across the street from the terminal. There was no cart and we trudged across the street after what seemed like an eternity waiting for the cop to stop traffic for us (what was it, the Belt Parkway?) and continued our trek. Inside the terminal we stopped at the automated kiosk and got our tickets and went to the gate. Oh, sorry, wrong way. The gate was the other way. No? But the sign said… I think this is it. Oh, wait, there it is, back the other way. JetBlue has some perks but just getting around their terminal is not one of them. “You cannot bring on any liquids. Water is a liquid. If you can’t breath it and it isn’t hard then it is a liquid. Ice is a liquid. No metal. This rail is metal. My badge is metal. Your watch is metal. Metal is a solid. It is hard. It is not a liquid.”There was more, a lot more, but I’ll stop the physics lesson here, before his discourse on gas. He walked up and down the line and bellowed it all. Twice. We got through the checkpoint and followed more signs to our gate. HA! If only it were that easy. We followed the signs which informed us that, due to construction, we’d have to go down a rickety flight of stairs to a shuttle bus to our gate. So check me on this. Before I ever got to the plane, I’d driven to the airport, walked to the train, rode the train to the terminal, and took a bus to the gate. If I could somehow work in a ferry ride just before I got on the plane I’d have hit all the major modes of transport. I had done a whole lot of traveling before I even left New York. We got off the bus and walked, again, with heavy bags (did I mention that I don’t check bags? I wasn’t feeling so smart at that point.) to our gate, which was the farthest away, of course. We had about 45 minutes till boarding and I was hungry. I bought an orange juice and a tuna sandwich there and it only cost me $11. I was afraid to see how much a donut would set me back. I only had a couple of hundred on me. Well, after a while the crew came out and started setting up the desk and it looked like we were soon to board so about half of the people waiting got up and stood in a line. This is stupid in every way because they call priority seating (wheelchairs) first and start boarding from the back so most of those people weren’t getting on right away anyway. Plus they had to stand while they could have been sitting and relaxing. What was the rush to get on the plane and get into a cramped seat? The joke was on them. After they were standing for over ten minutes, and it became obvious that the flight wasn’t taking off on time, they announced that the flight was going to be delayed an hour for routine maintenance. An hour. For routine maintenance. No way. There had to be something seriously wrong. “Routine” maintenance doesn’t delay a plane for an hour. The announcement went on to say that this was only an estimate and no one should leave the gate because it may be sooner. About twenty people left the gate. And just five minutes later we started boarding. I never did find out what was wrong, but as we walked down the jetway I saw two guys on the wing. One was straddling the engine and bolting something down, the other was just standing there. You don’t know the utter joy this gave me. Really. Invariably, no matter who I am traveling with, sometime during the flight I will look out the window and, with an expression of fear on my face and urgency in my voice, turn to my companion and say “there’s a man on the wing!” OK, it makes me laugh. But this was too perfect. I stopped dead on the jetway and turned to my brother, pointed out the window, and said “there’s a man on the wing!” He was ready to slug me when he saw that yes, there really was a man on the wing. For the first time ever! I had actually made the joke in the correct context! He stopped in mid-slug, laughed, and shoved me ahead. We found our seats and soon a JFK miracle occurred: We took off nearly on time. The flight was relatively uneventful. JetBlue offers 36 channels of satellite television and even more XM radio. And as you could have guessed- nothing was on. But I watched reruns of Family Guy on TBS and saw The King of Queens on UPN and watched some other stuff that I wouldn’t have bothered with had I been in my living room. The flight was smooth and I didn’t look out the window much, due to cloud cover. Eventually, after the nineteenth hour of the five hour flight, I looked out and saw the American West spread out below me. Mesas, dunes, sprawling emptiness, and a lot of what looked like the Forbidden Zone where Taylor landed in The Planet of The Apes. I was impressed. I had never been that far west before and I spent a lot of time looking out the window. I wasn’t sitting in the window seat and this really bothered the old lady who was. But who cared? Besides her? It was The West! Just a hundred and fifty years ago cowboys drove cattle across these plains! The cavalry fought the Indians here! Clint Eastwood was Hung High there and Henry Fonda sang My Darling Clementine in a saloon while John Wayne wooed Pocahontas just below the wings of my plane. Or something sort of like that. The Captain announced that we were beginning final descent into McCarran Airport. I looked. I craned my neck. I spilled a bottle of water on the old lady with all the craning but I didn’t see the city. All I saw were some hills ahead. Then we were over the hills and there was Vegas spread out before us. ← My Bus Ride to… More Bus Ride: Part One Week!